Storyline vs. Lectora: Who Wins What? With rapid authoring tools ruling the roost in e-learning creation, as an e-learning developer, you will look for the best authoring tool to design your course. 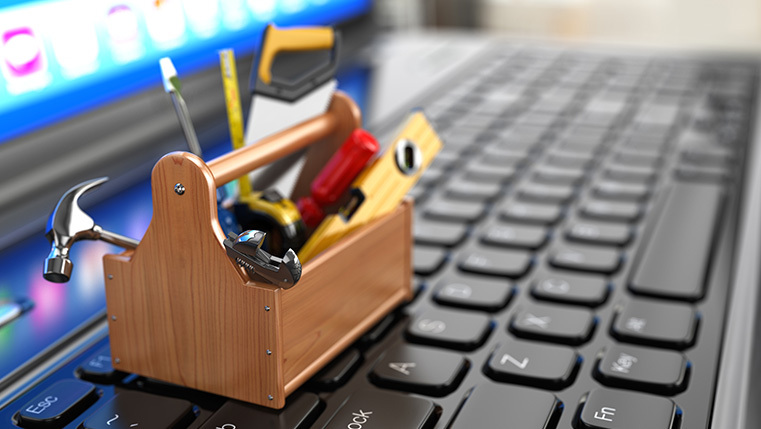 There are many rapid authoring tools out there, so how will you know what to choose? This post is our endeavor to help you in this tricky area. We will compare two major rapid authoring tools – Articulate Storyline 2 and Lectora 17. This is not to say one tool is better than the other, but a comparative analysis will help you select the rapid authoring tool based on your needs. Articulate Storyline 2 scores high on ease of use. It has a PowerPoint-like interface and simple slide layers that are easy to use. It is simple for new designers to design and develop courses quickly. At the same time, for experienced designers, it offers robust features to design complex courses. Storyline also has the largest online user community which makes it easy to find solutions to your queries and offers the best customer support. Lectora 17 is less user-friendly and offers no slide layers but new features such as BranchTrack make it easy to create scenarios. As for responsive design, Storyline offers templates that will help you create screens that suit different mobile devices. The tool will automatically adjust the screens for different devices. As for Lectora 17, it has enhanced features that help you create responsive courses. With the device inheritance feature, anything you develop for the desktop using this tool will be inherited to the tablet, and anything developed on the tablet will be inherited to the phone. This makes the transition of design from one device to another easy. With Storyline, you can create both entry and exit animations and motion paths. The tool also provides a library of characters whose poses, expressions, and perspectives can be changed. This makes it ideal to create scenario-based learning. Lectora does not provide as many options to create scenario-based learning; however, it has 2000 built-in online course development assets that can be customized based on your needs. Snagit 13 included in Lectora 17 gives you options such as adding highlights, shadows and other effects to images. In Storyline, you can record screens which can be used either as a standalone video or as a step-by-step simulation. The options available in this tool are perfect to create training for software systems. Lectora does not have a built-in feature to create simulations. To create simulations, you need to record, edit, and include actions and feedback manually. Storyline offers options to create interactivities that can be customized. It is supported directly by the tool. This feature is useful for developing custom games and game-based assessments. In Lectora, the advanced versions of Camtasia and Snagit help create interactive learning. These plug-ins make Lectora an ideal choice for creating videos, simulations, and mobile learning. Storyline allows you to modify quiz templates according to your needs. You can create quiz options with grading, survey, or freeform options. In this parameter, Lectora is the clear winner because it offers more options for actions and variables in quizzes. It offers assessment scenarios, LMS-compliant options, and Flash-based mini-games. Both tools offer competitive features but your choice should be based on what will meet your needs in course design.